DIY electrical work doesn't have to be confusing. If you are like most people, the thought of electrical work is probably a little intimidating. It doesn't have to be. With a little knowledge and some advice, anyone can do the basic wiring in your home. 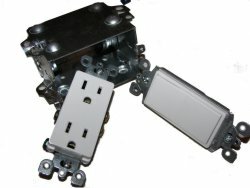 Wondering how to wire a three way switch? Plug? Maybe just a single pole switch is enough for you. Should you use 14/2 or 12/2 wire. What size breaker? Wire nuts or MARR connectors? What the heck am I talking about? Before you start any diy electrical wiring project, be sure to TURN THE POWER OFF! This will result in less cursing and frazzled nerves. When it comes to wiring, a lot of it is just common sense. There is usually a logical trail that the electricity needs to follow. Do it yourself electrical work can save you loads of time and money once you get the hang of it. Why wait for an electrician to come and install a light fixture for $50, $60, $70/h when you can do it yourself? You will be shocked to find out how much fun doing electrical work can be. I can plug you into some great information that will light up your life. Wow, that was pretty corny but it probably brought a smile to your face. I like to say, "If you can't have fun while you are working, what's the point? We can start you diy electrical journey with basic wiring. It is good to know which wires are “hot”, which wire is used for the “common” and ground. If this is all too basic for you, check out the different projects at the bottom of this page to find what you need information on. Start with something relatively straight forward like a single pole switch. Then we can get into some 3 way switch wiring. These switches are great when you want to control one light or series of lights from two switches. Quite a popular option. Want to plug a lamp in and have it run off a switch? 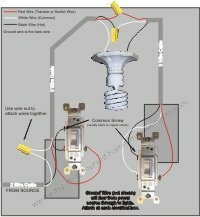 I have had many requests for how to wire a switched outlet. can be very handy when you want to install a light fixture or ceiling fan or even something as small as wiring a phone jack.Heck, it is useful just to be able to change a defective light switch… tremendous savings! 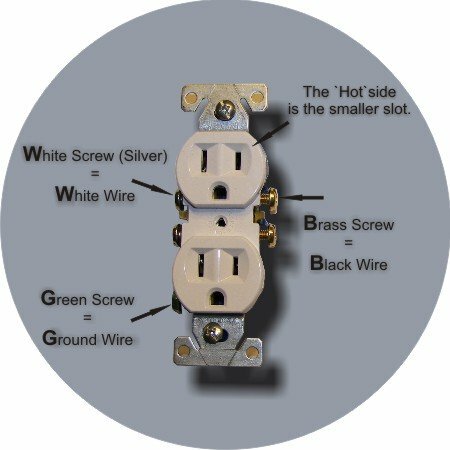 I have created easy to follow electrical wiring diagrams for all your basic household wiring needs. My last little tidbit of advice… take your time. Do it right and do it well. These diy electrical tips can help you get the job done. 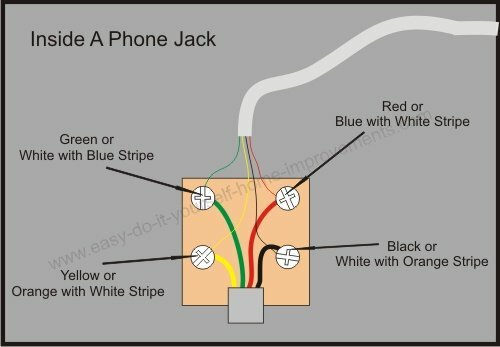 -- Do you need another phone jack in your house? 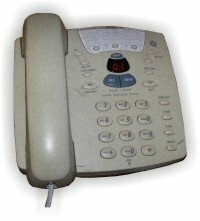 Get easy home telephone wiring diagram and tips to help you "get connected". Need Some Home Electrical Wiring Tips? 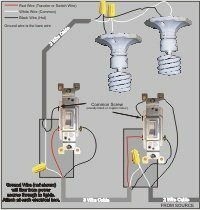 -- I have some tips and advice for your basic wiring needs. What tools do you need? What materials do you need to get? This will point you in the right direction. Want to replace or put up a new ceiling fan? -- Follow the step by step guide and get your ceiling fan replaced by the end of the day.